Keiko M. Orrall started her $124,248-a-year job as travel and tourism director this week. 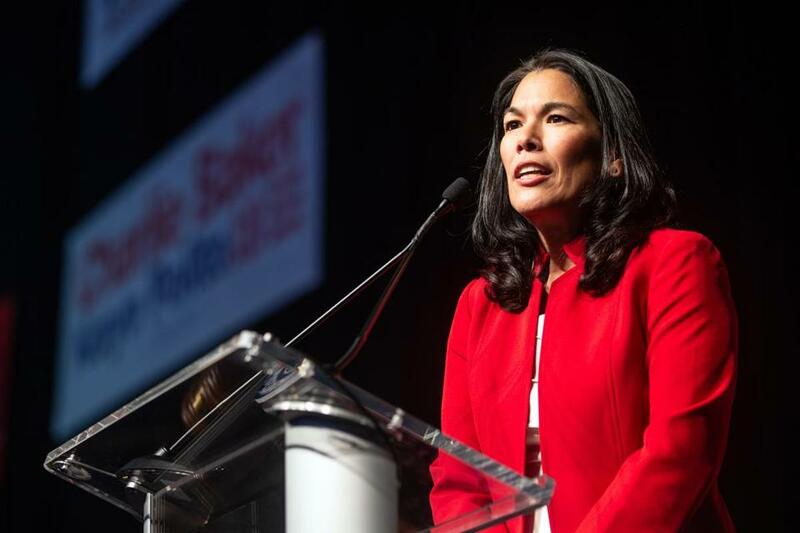 Keiko M. Orrall, a former lawmaker and leading Republican Party figure, has been tapped by Governor Charlie Baker’s administration to return to state government, this time to take over the state Office of Travel and Tourism. Orrall, 51, started her new $124,248-a-year role this week, months after she gave up her legislative seat to launch an unsuccessful run for state treasurer last fall. A former schoolteacher, she replaces Francois-Laurent Nivaud, a veteran of the hospitality and tourism fields who led the office for three years. The Baker administration announced Orrall’s hiring Friday afternoon amid a slate of other “senior leadership team” members now working under Mike Kennealy, the state’s housing and economic development secretary. In explaining Orrall’s background, state officials did not detail any jobs she held in the travel or tourism industry before taking over the office that is charged with promoting the state as a vacation and business travel destination. But officials said she worked on a “wide range of tourism issues” while she was a state representative, including advocating for the state’s cranberry growers and “participating” in planning Plymouth’s 400th anniversary commemoration. Orrall is a political ally of Baker, who backed the Lakeville Republican for GOP national committeewoman three years ago when Orrall ousted a more conservative incumbent. The first Asian-American woman to run for statewide office, Orrall later featured the governor in a campaign ad amid her unsuccessful challenge of incumbent state Treasurer Deborah B. Goldberg. Orrall served for more than seven years in the Legislature. Her husband, Norman Orrall — a former Baker administration official himself — won her seat after she opted against trying for reelection in order to run for treasurer. Brendan Moss, a Baker spokesman, did not answer a question about what input Baker had on Orrall’s hiring, but said she had developed relationships with “several legislators key to the tourism economy” while in the House. “The administration looks forward to the experience she will bring to her new role,” Moss said. Orrall did not respond to an interview request. In a statement, she said she was thrilled to join the Baker administration and that “supporting tourism was one of my key priorities” while in the Legislature.